Search Results for "tourist information"
Boat and scenic landscape. Italian flag, Maggiore lake. Tourist information about italy. In Manchester city centre center a man wearing black and red uniform, hat and Visitor or Tourist Information Centre center badge is helping tourists and visitors who ask for advice. 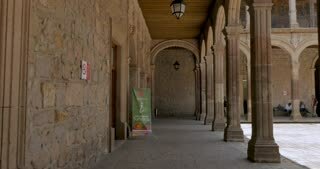 A hand held, low angle, wide shot of a tourist information center in the spotlight. MIDDENBEEMSTER, THE NETHERLANDS - Manor house, farmhouse, today a tourist information centre + pan street in village. The Beemster Polder is a UNESCO world heritage site. Signs indication tourist information in the village of El Chalten, Argentina. 1950s: Building. 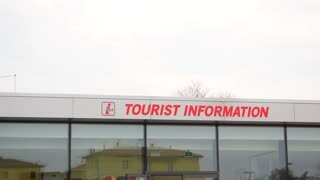 Sign reads "ONTARIO GOVERNMENT TOURIST INFORMATION." Car drives down road. Mountains. Women walk down street. Park. Flowers. In pedestrian area a man wearing nice uniform, hat and Visitor or Tourist Information Centre center badge is advising young couple from Eastern Europe how to find a place in the Manchester city using a map. In pedestrian area a man wearing black and red uniform and Visitor or Tourist Information Centre center badge is helping young couple of visitors to find a place in the Manchester city downtown using a map, close up shot. Anchorage, Alaska, USA, June: The visitor center where the tourist getting information where to go in Anchorage. Rome, Italy passengers inside Termini railway station. Slow motion of tourists before information board with train schedules at Termini metro and train station. Kotor, Montenegro - July 2017: Tourists visiting the old town Kotor. Tourist guide giving info to visitors. Slow motion.